Bundle up and save with the complete 'Iced' collection - the papers, the elements, the extra paint transfers and the journal cards. Part of the December 2016 BYOC at The Lilypad, this pack combines the "Iced" elements, 'extras' and papers along with an alphabet and numeral set PLUS the additional transfers and journal card pack. Also available: Iced Paper, Elements, Journal Card - or (the best value option) the Iced Collection bundle. Also available: Iced Papers and Iced Elements as separate packs, plus Journal Cards. a set of 12 papers that coordinate with the December 2016 BYOC. 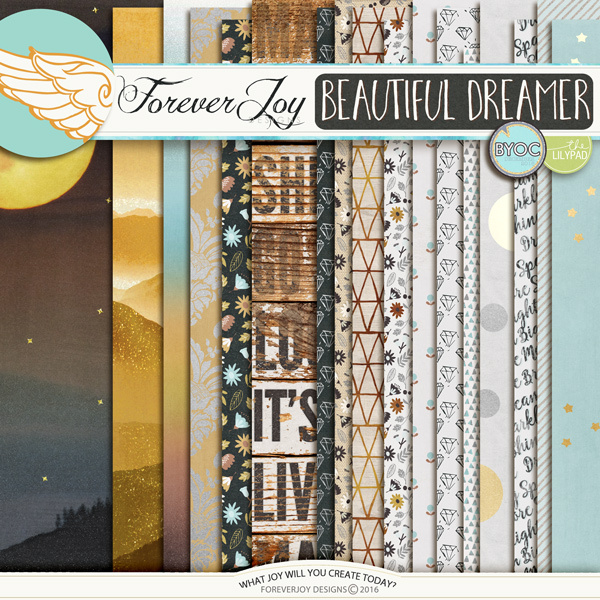 This portion of the collection includes 17 patterned papers (and 5 bonus solids!) Love the papers? Check out the page kit where you can get find them bundled with the coordinating pretties! This item coordinates perfectly with the other DECEMBER 2016 BYOC products! Drop shadows for illustration only. This digital kit has been saved as .jpg files at 300 dpi. Not all items shown. Personal Use Only please. Includes 14 different snowy snowflakes! Includes 12 3x4 transparent cards with tons of alternate color ways. Each card includes a black, a turqoise, a periwinkle, and a gold variation. 48 TOTAL CARDS!